Best bang for your buck. PVC offers unmatched performance at an affordable cost. Double dipped PVC coated gloves provide excellent protection. Glove lengths from knit wrist to 18" provide different levels of protection. 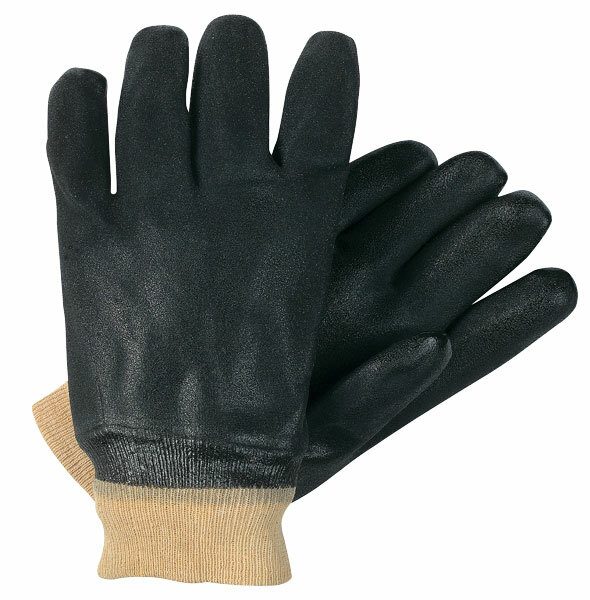 The 6520S is an industry standard black double dipped, sandy finish, interlock lined glove with a knit wrist.